C.J. Tudor has quickly established herself as one of my favorite crime writers. Her debut novel THE CHALK MAN blew me away; her sophomore novel THE HIDING PLACE - released this week - is even better. Tudor is a fierce talent: a writer who blurs genre lines, pushes the envelope, and delivers stories as smart as they are creepy. I’m thrilled to welcome C.J. 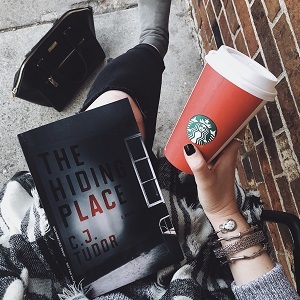 Tudor to CBTB today to discuss her brand-new release, THE HIDING PLACE! (Note: In the U.K., this book is titled The Taking of Annie Thorne.) Read on for the book’s plot details, a snippet from my review of THE HIDING PLACE, and a fantastic conversation with C.J. Tudor herself! One of the very best things about attending crime conferences like Bouchercon is having the chance to learn about the books you love from their authors. While at this year’s Bouchercon, I had the wonderful opportunity to interview Caz Frear, author of SWEET LITTLE LIES - an exceptional debut that just released in August! SWEET LITTLE LIES tells the story of a young female police officer whose personal life collides with her professional life in a chilling and layered mystery. I absolutely loved this book, and was so excited to sit down with its very talented author to talk about her debut, her book’s protagonist, what comes next for her, and more. I’m thrilled to welcome Alex Dahl to Crime by the Book today to discuss her totally addictive, genuinely unsettling summer suspense novel THE BOY AT THE DOOR - on sale tomorrow (7/24) from Berkley! I devoured THE BOY AT THE DOOR earlier this spring and have been so excited for its release ever since. CBTB readers will find this one right up their alley: set against a Scandinavian backdrop, THE BOY AT THE DOOR reads more like your favorite psychological thriller than your standard Nordic Noir—but it’s injected with the melancholy and atmosphere of the best Scandinavian crime, too. Read on for my Q&A with Alex Dahl, author of THE BOY AT THE DOOR! At long last, one of summer’s most fresh - and twisted - psychological thrillers is on sale! IN THE VINES by Shannon Kirk releases today (7/17/18) from Thomas & Mercer, and I'll just keep it short and sweet: this is one you need to read. 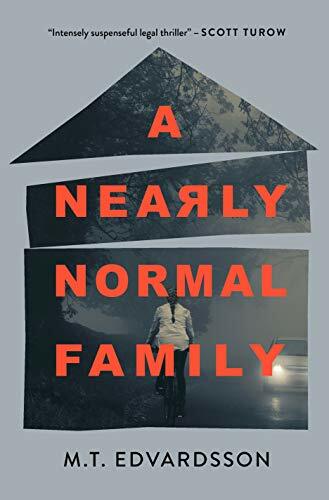 In her deranged story of family secrets, Kirk weaves a mystery that will leave readers breathless; this book is equal parts frantic drama and lush writing, and the resulting combination is an absolute winner. IN THE VINES is bound to be one of the most unique reads on your summer TBR—and today on CBTB, I’m thrilled to welcome author Shannon Kirk to give us the inside scoop on her scorching summer suspense novel! If you’re a reader who loves keeping up with the hottest new psychological suspense novels, you’ve probably already heard the buzz surrounding Sandie Jones’ debut THE OTHER WOMAN. Releasing in August from Minotaur Books, THE OTHER WOMAN is perfect beach reading material: twisty, page-turning suspense that you’ll want to devour in one sitting. I'm thrilled to welcome Sandie Jones to Crime by the Book today to give CBTB readers an exclusive glimpse into THE OTHER WOMAN in anticipation of its August release! If you've loved domestic thrillers like BEHIND CLOSED DOORS by B.A. Paris and LIE TO ME by J.T. Ellison, you will love Jones' addition to the ever-growing psychological suspense genre; moreover, you'll love that Jones puts her own unique spin on the genre in her debut, too. While you wait for THE OTHER WOMAN's release in about a month, you can learn more about the book in today's bog post: an exclusive Q&A with Sandie Jones, sharing all the background information you'll need to know about one of summer's buzziest domestic suspense novels.